It was the spring 1963. President Kennedy was still alive and the moon race was very much on. Richards Lighting founders Richard and Barbara Lapidus moved to Huntsville, AL from Birmingham and soon, the locals were witnessing a Richards Lighting-branded panel truck traveling back and forth between Birmingham and Huntsville. These were heady times. Engineers flooded Huntsville, working on the space program, and they were all buying up new homes. They all needed lighting. By August, Richard Lapidus had a building up on north Memorial Parkway, and he was traveling to New York City to source the best lighting products for his customer base in Huntsville. On September 27, 1963, Richards Lighting Distributors, Inc. officially opened with four employees: Richard, a bookkeeper, and two stockroom workers. In their first 15 years of operation, the Lapidus’ made two additions to their first building, but rumors of a new road were flying, and eventually, they decided to roll the dice and build a new location on University Drive. In October of 1978, the new location premiered. It was 20,000 square feet, with an 8,000 square foot showroom and front offices. Today the building is 30,000 square feet, thanks to customer demand for product, prompting the need for an even bigger warehouse. In May 1980, Richards Lighting was recognized as the cover story for Home and Lighting Accessories, the premier trade magazine devoted to the lighting industry. In June 1990, the same magazine touted Richards Lighting as “The store that has everything.” In 1994, Richard Lapidus was named to the Huntsville/Madison County Builders Association Hall of Fame. The Ladipidus’ three sons Brad, Mike and Jeff eventually joined the company. Today, Brad serves as president, Mike serves as vice president, and ownership has been transferred to the younger generation. Their father’s commitment to “Serving the Customer” has continued with their generation. 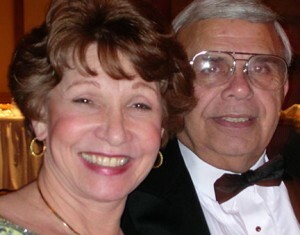 Sadly, Richard Lapidus passed away on June 19, 2012, and missed the August 2012 50th Anniversary celebration of serving the Valley, but his legacy lives on with the new generation of Richards Lighting. 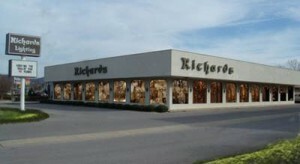 Richards Lighting is located at 1811 University Drive NW, in Huntsville. To call for more information, their phone number is (256) 533-1460 and their hours are 8 a.m. to 8 p.m.